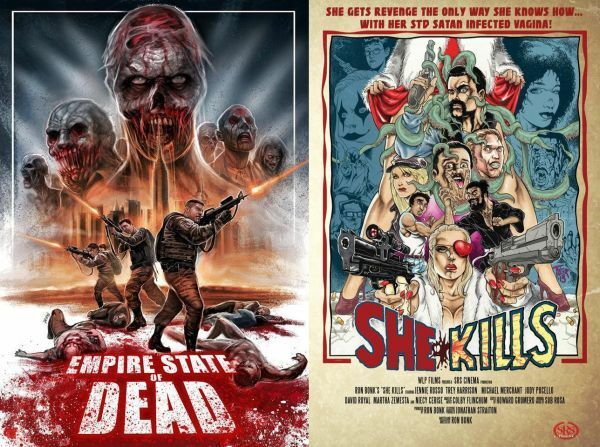 -This coming weekend (Oct. 28-30) at THE SUPER CON in Erie, PA will be a showing of both SHE KILLS & “Empire State of the Dead” by SRS CINEMA LLC. Both Producer / Director Ron Bonk & Actress Jennie Russo will be in attendance. Empire consists of several zombie short films-I’m in the one by MAD ANGEL FILMS playing the role of a Joker-like character named Draven. She Kills is an ode to 70’s exploitation / grindhouse films. I have the minute role as “The Saltine Warrior” in this one. This entry was posted in ACTING, FILMS and tagged 70's exploitation films, acting, comedy, Draven, Empire State Of The Dead, Erie, grind house, horror, Horror Expo, horror film, horror movie, jennie russo, Joker, mad angel films, PA, RON BONK, SHE KILLS, Skull Makeup, SRS Cinema LLC, The Super Con, wayne w johnson, WWJ, zombies. Bookmark the permalink.